The San Diego County Water Authority’s mission is to provide a safe and reliable supply of water to its member agencies serving the San Diego region. The Water Authority’s 24 member agencies are represented through a 36-member Water Authority Board of Directors. 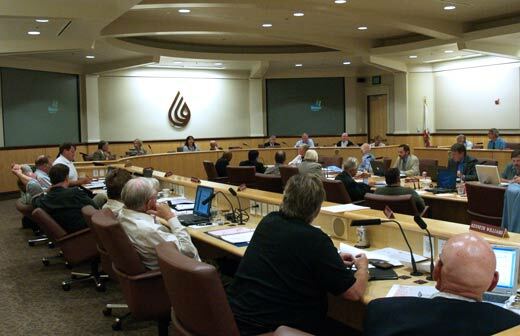 The Board, which establishes and administers policies for the Water Authority, invites the public to attend its monthly meetings, and also to comment on its agenda items or other matters before the Board. For a list of upcoming Board meetings and documents, click here. To learn more about the individuals who comprise the Water Authority’s Board of Directors click here. For a list of committees, task forces, and other appointments, click here. This notice provides the public with information related to board meetings, agendas, public hearings, public comment, and participation in Board meetings for disabled persons. To read the public notice, click here.